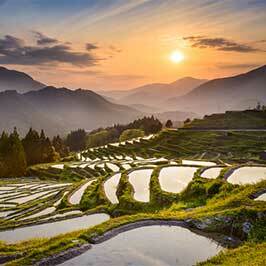 Experience the best Japan has to offer in this guided 9-Day guided tour of Japan! 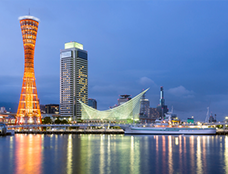 This tour is ideal for first-time visitors who wish to see both traditional and contemporary sides of Japan. 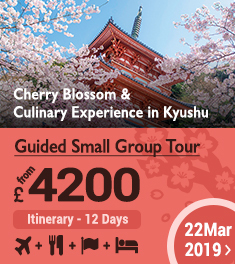 You’ll visit many of Japan’s most famous spots such as Tokyo’s Shibuya Crossing; the beautiful and tranquil Onsen town of Hakone; charming Nara Deer park and the thousands of Torii gates of Fushimi Inari Taisha in Kyoto. 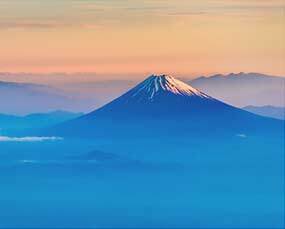 As well as knowledgeable guides, this tour includes transportation, accommodation and transportation on Japan’s iconic Shinkansen bullet train! After Breakfast in the hotel meet with your guide in the lobby and make your way via public transportation to Nara, Japan’s first permanent capital. 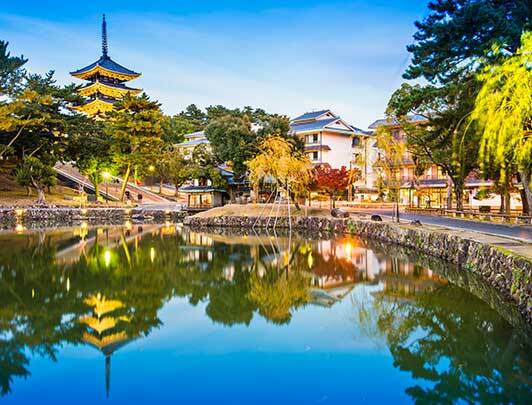 Nara, established as the imperial capital in 710 CE, is a city famous for its Buddhist temples and the friendly wild deer who call the city their home. First on the itinerary for the day is Todaiji Temple, which houses the Great Buddha (Daibutsu) of Nara; this gargantuan Buddha, is the largest bronze buddha in the world at nearly 15 meters tall. The temple and buddha have been listed as a UNESCO World Heritage Site and draw devotees as well as visitors year round. After Todaiji you will proceed to Kasuga Grand Shrine, a religious site important in Japan’s native religion of Shinto. 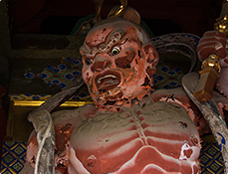 Established originally in 768 CE, this shrine is a beautiful example of Shinto aesthetics and is especially famous for its brilliant vermillion gates and its innumerable stone and bronze lanterns. Next you will take a walk through Nara Deer Park where you can feed, pet and take pictures with the herds of the eponymous deer. 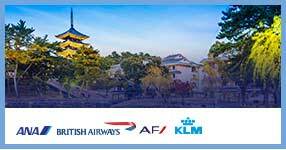 Your last stop before heading home will also pass by Kofukuji Temple. Originally completed in the 7th century, Kofukuji was once one of Nara’s most powerful temples and is currently a UNESCO World Heritage site known for its 5 story pagoda. 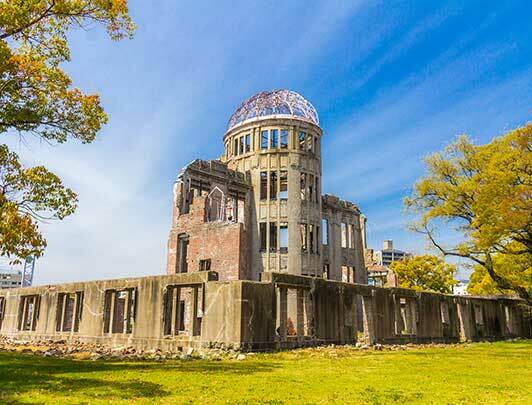 Get an early start after breakfast and head to Hiroshima. While the city was destroyed during the Second World War, it has been entirely rebuilt and has grown to be one of Japan’s larger cities with just over 1 million residents. Once you arrive your first stop will be the Peace Park at the center of the city. There you will see the Hiroshima Atom Bomb Dome, one of the few structures to survive the blast that wiped away the rest of the city. After the dome you will continue on to the Hiroshima Peace Memorial Museum, which includes informative and well curated exhibits about the reality of an atomic bombing and its domestic, as well as international, aftermath. After a thoughtful and reflective morning you will follow your guide to the Miyajima Ferry Port where you will board the short ferry to Miyajima Island. One of Japan’s most photographed places in all of Japan, Miyajima is best known for Itsukushima Shrine. 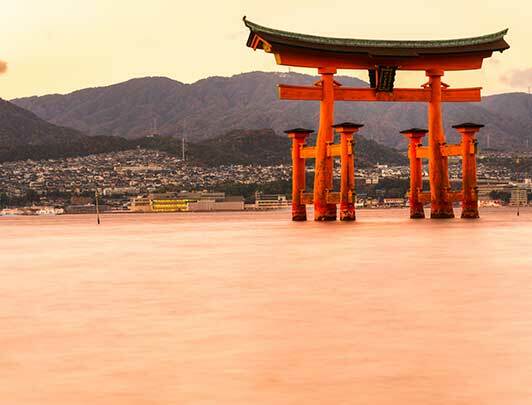 As you approach the island you may get a view of the shrine’s famed floating Torii gate that stands in the water. Itsukushima Shrine, the current structure of which was built in the 16th century, has even been designated as a Japanese national treasure. After visiting the shrine and walking along the streets of this picturesque little island you will continue to your hotel for the evening. 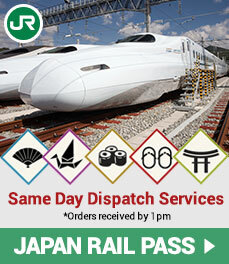 After breakfast at your hotel you will board a bullet train bound for Kyoto. The bullet train, or Shinkansen in Japanese, is a marvel of Japanese engineering and efficiency as it glides along the tracks at top speeds of 320 kilometers (approximately 200 miles) per hour between major cities all over the country. You’ll be in Kyoto in the blink of an eye. Once you’ve arrived you will board local trains bound for Fushimi Inari Grand Shrine. Dedicated to the god of rice, Inari, the shrine has been an object of imperial patronage since the Heian Period (c. 800-1100). Along with the thousands of torii gates that snake up approximately 4 kilometers (2.5 miles) along the mountain side, the shrine is well known for its many fox statues—foxes were believed to be messengers of Inari and often carry in their mouths keys to the granary. Next you will visit Yasaka Shrine the most prominent shrine in the Gion District—sometimes just called Gion-san by locals—which hosts the world famous Gion Festival every year in July. The shrine itself is well located with a beautiful ceremonial stage in the center courtyard that is lit by hundreds of donated paper lanterns. 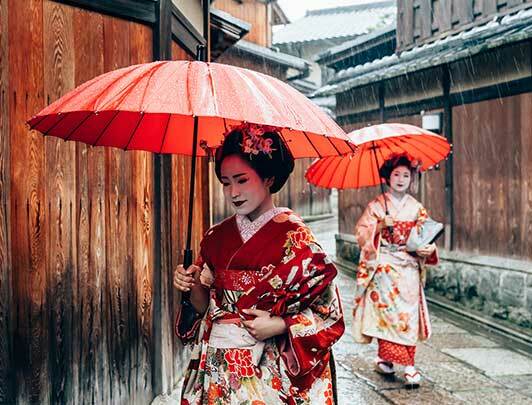 After leaving the area’s main shrine take a walk through the Gion, Kyoto’s famous ancient red light district. While walking along the paved streets be sure to keep your camera ready as you might catch a glimpse of one of Kyoto’s famed Maiko (Geisha) on her way to a performance. After the Gion take a short walk to Ponto-Cho Riverside street where you can walk down a traditional Japanese street and—if you’re lucky enough to be visiting in summer—maybe enjoy a meal on one of the city’s famous terrace restaurants that overlook the Kamogawa river. Finally, return to Osaka for the night at your hotel. Spend the day at your leisure. 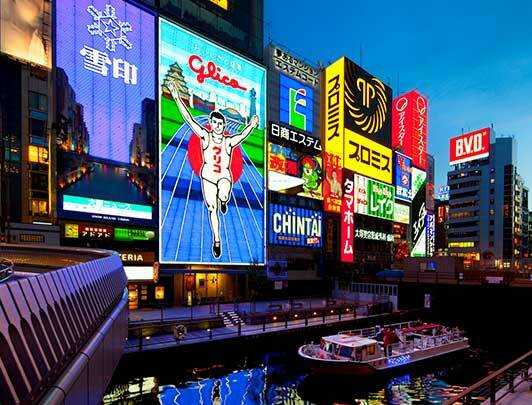 Explore Osaka or maybe get on a train to Kyoto, Kobe, or anywhere else you might like. Prepare a day bag, because when you check out of the hotel your bags will be transferred to your Day 7 Tokyo hotel. 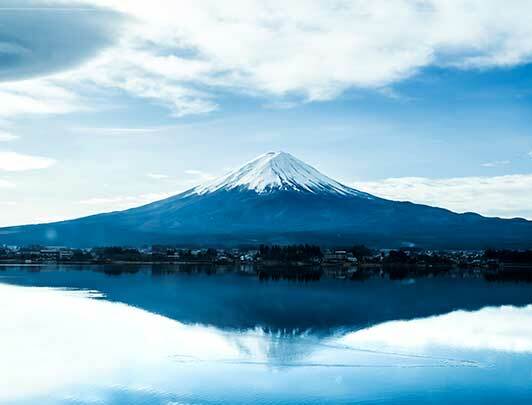 After check out you will board another Shinkansen, this time bound for one of Japan’s premier hot spring towns: Hakone. 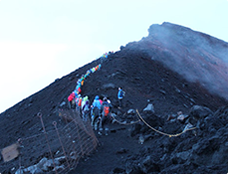 Once you arrive, you will board the Owakudani Ropeway from which you can see the volcanic valley that heats the spring water Hakone is famous for and maybe, if the weather is clear, Mt. Fuji in the distance. 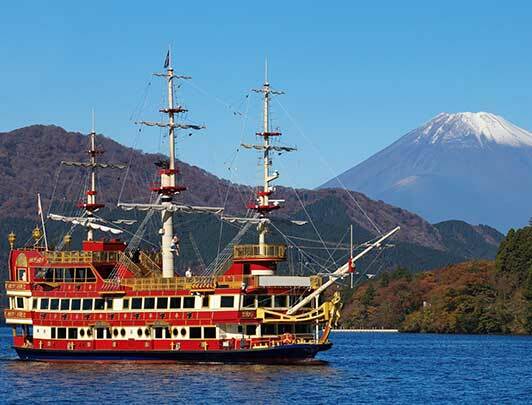 After arriving at the shores of Ashi Lake you will board a cruise ship for a short ride on the picturesque bay—where again Mt. Fuji is visible in the distance on a clear day. After the end of the lake cruise you will transfer to your hotel which is a traditional Japanese style Ryokan. 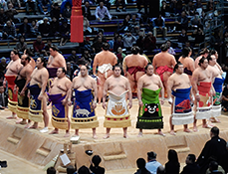 There you will enjoy a dinner of traditional Japanese cuisine and can enjoy the local hot springs. 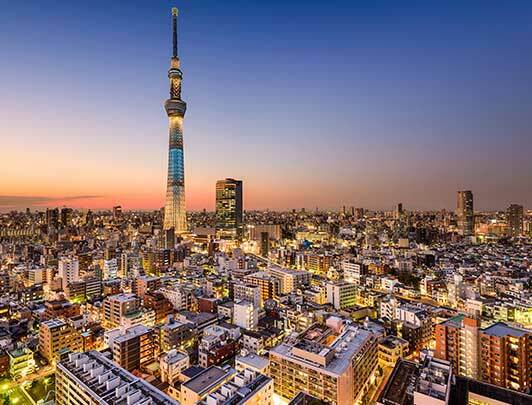 After breakfast you will board a train for Tokyo, Japan’s capital and by far its most populous metropolitan area. 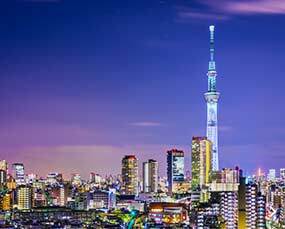 Tokyo, formerly called Edo, became the defacto capital in 1603 when the feudal warlord Tokugawa Ieyasu became shogun. After you arrive in Tokyo your first stop will be to visit the Meiji Grand Shrine, which enshrines the spirits of the Meiji emperor who officially transferred the capital to Tokyo in 1868 when practical rule of Japan was restored to the imperial household. 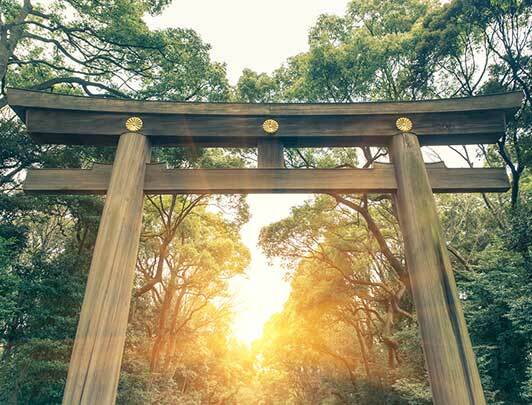 Set in a deep green forest in the center of Tokyo, the solemnity of the Meiji Grand Shrine provides a stark contrast to the hustle and bustle of the city beyond the trees. From the traditional to the contemporary; after the shrine you will make the short walk to Harajuku, Tokyo’s youth mecca ascendant. 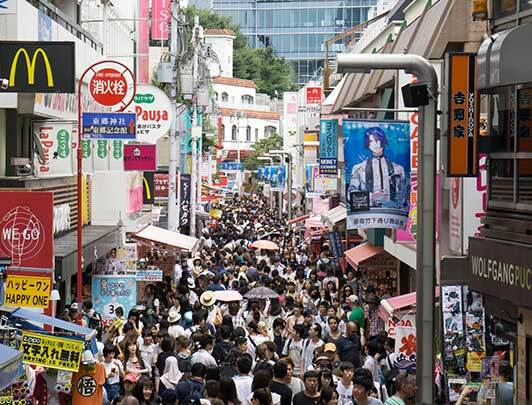 On weekends the streets of Harajuku’s Takeshita Street throng with teenagers out shopping in what was until very recently the epicenter of all Japanese fashion trends. After seeing Tokyo’s most famous youth area you will continue to Shibuya, famous across the world for its hectic scramble crossing. 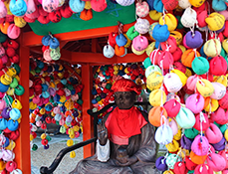 After you’ve seen—and maybe even experienced—the scramble crossing and had some time in Shibuya you will go to Asakusa and walk down the shop lined Nakamise street until you reach Asakusa Kannon Temple, one of the country’s most visited Buddhist temples. Maybe try some traditional Japanese snacks or purchase some Japanese hand crafts on Nakamise street before heading back to the hotel for the night. 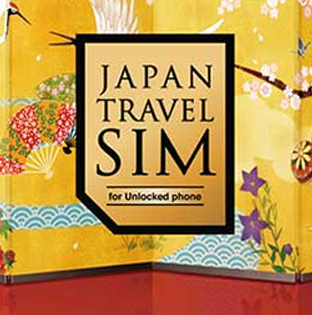 Spend your last full day in Japan at your leisure. After breakfast, check out from the hotel, board a limousine bus for the airport and depart from Japan. 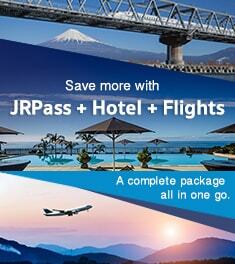 * the customers have their travel insurance sorted by the arrival date.